A Cultural programme was performed by the artists of Alaknanda Institute for Performing Arts who represented India in `Ganga Danube Festival 2018’ held In Hungry in the month of Jun 2018. One of our students Bhumika Mehta of class IX who participated in the fest was awarded a momento from the Ambassador of Hungry at an Award ceremony held in Trivani Auditorium, New Delhi on 27th Nov 2018. Sharat Singh, class XII and Digvijay Singh Tomar, class XI won the 2nd prize in Gaming competition at the Annual Inter School Computer Fest `BOT-2018’ (Battle of Titans 2018) organized by Mayoor School NOIDA. Ayush Singh and Abheek Gupta emerged as the winners and were awarded a prize money of RS 30,000 and certificates. Sehr Sannah Kapur, class XII attended the International Youth Leadership and Innovation Forum (IYLIF) conference held at Singapore on 23rd Sep 2018. She was appointed as International Youth ambassador for IYLIF 2017. This year she was invited by the IYLIF, a venture by Singapore based As Many Minds Pvt Ltd to be the Master of Ceremonies of their Annual Conference at the Lifelong Learning Institute in Singapore. Aishani Sood of class VIII secured first position in Elocution competition in the Annual Literary Fest 2018 organized by Adharsheela Global School, Sector-3, Vasundhara, Ghaziabad. JayPee Public School, Greater NOIDA organized an inter school Literari Fiesta on 03rd August 2018. Oshmita Bhattacharjee of class XII, Sapna Shandilya and Vrinda Sharma of class XI secured 1st position in Battle of Words (Debate). Nine students of our school participated in the CSNMUN2018, held at Cambridge School, NOIDA on 10th and 11th August 23018. Arshia Bathla and Srishti Dutta were awarded the Special mention and High Commendation in the IP category. Vishwa Bharti Public School, NOIDA organized an event titled `Resplendence 2018’ on 23rd August 2018. Our students Shakshi Thakur, class IX won third prize in the D-Indian Traditional Painting competition. Abhivyakti (Annual Literary Fest) an Inter School competition was organized by Adharsheela Global School . 4 Students from our school participated in 3 events — Doha Vachan , Cuisine de France and Elocution (Orator). Aishani Sood of 8-B secured 1st Position in elocution event. Vidisha Raj and Ananya Deswal participated in an English debate on 18th July 2018 at Cambridge School Noida. Twenty teams from Delhi-NCR and Lucknow participated in it. Ananya won the second prize as a speaker. 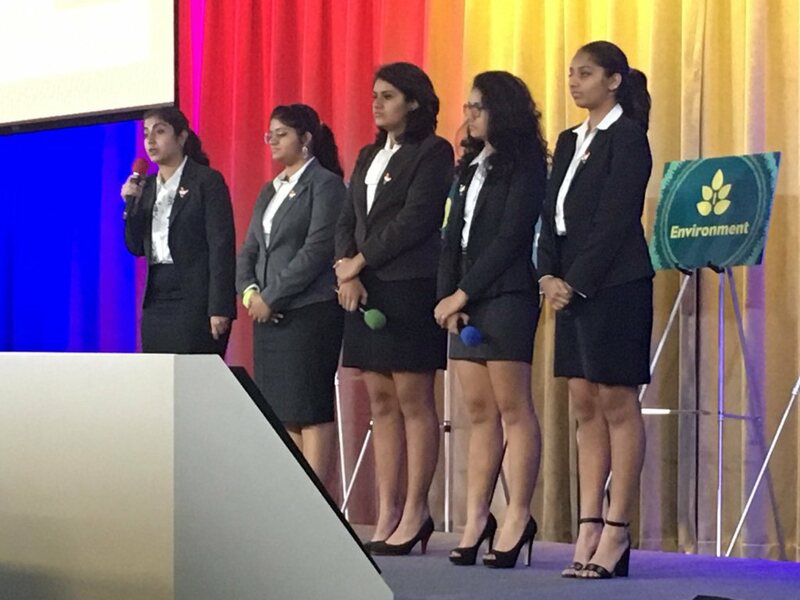 Five students of classes XI & XII accompanied by Ms. Meena, TGT Computer Science attended the `World Pitch Finale of Technovation 2017’ held at San Francisco Bay Area (USA) from 07th to 11th August 2017 completely funded by Iridescent, Technovation. Our school team `Ingenious APSN’ was one of the finalist out of 06 senior division teams. Participant students have received the certificates of finalists and price money of $10,000 for the STEM courses. Selection of International Youth Ambassador. Sehr Sannah Kapur of class XI was selected as International Youth Ambassador by International Youth Leadership & Innovation Forum (IYLIF). She attended a conference and spoke on behalf of the youth at IYLIF 2017 conference held at Singapore on 02nd September 2017. Delhi Area Inter APSs English Debate – 2017. (i) Best Speaker in Favour of the Motion – APS Noida. Army Public School, Noida participated in the event CODE 2017 an inter school IT Competition, organized at Apeejay school, Noida on 26th & 27th October 2017. 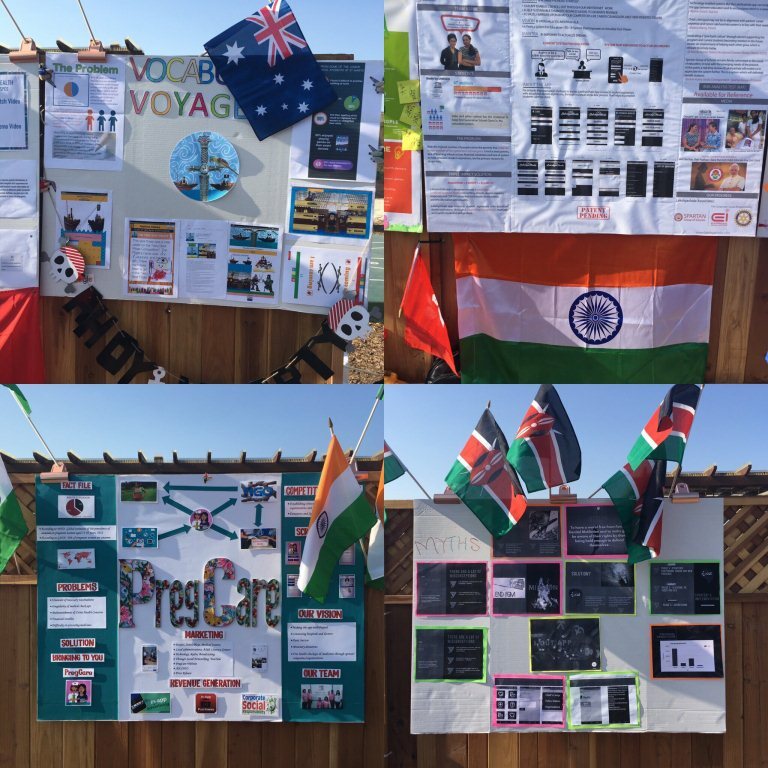 50 + school and 600 + participants took part in various events. Our students Yuvraj Singh and Kartikey Kashyap of class XI bagged 2nd position in Digital Imaging. Award of Scholarship for Class X Students. Aditya Sarkar, class XI has qualified for the award of scholarship under National Talent Search Scheme. Under the scholarship, the student will be entitled for Rs 1250/- per month till class XII, Rs 2000/- for graduation and for post-graduation as per UGC norms. A quiz was organized by the election commission of India to spread `Voter awareness’ among students on 28th Nov 2017 at IIMT Greater NOIDA, two students of our school Abheek Gupta and Ayush Singh of class XI participated in the competition. All the participants were given a questionnaire containing 50 questions (objective type)to be completed in 50 minutes. Ayush Singh of class XI secured first position in the quiz competition.